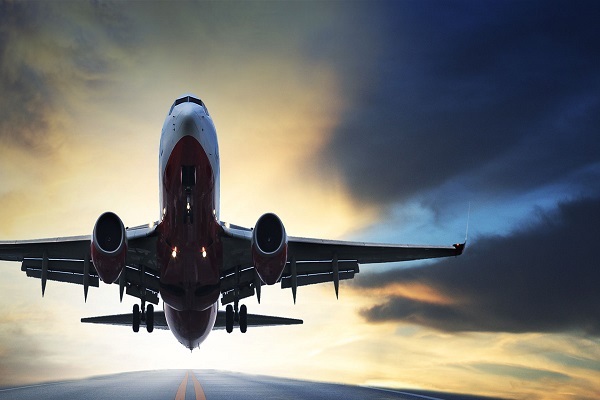 Big data, artificial intelligence (AI) and robotics are powering exciting innovations across the aerospace industry, many of which are happening in the background, invisible to everyday airline customers, said senior experts ahead of an industry event. The 4th Global Aerospace Summit will be held at the St. Regis Saadiyat Island Resort in Abu Dhabi from April 30 to May 1, to discuss the future of manufacturing and how it impacts the aerospace industry. Local and international experts in aerospace manufacturing will be at the event to explore an environment where advanced digital technologies are used on the shop floor to optimize processes, avert assembly problems and reduce costs. Often people think of big data and AI when interfacing with new services or products such as Amazon’s Alexa, Siri, or Google Now. However, the largest use of big data and AI technologies is happening in the background, where businesses use them to gain insight from their operations and customers to improve and streamline their manufacturing processes and operations, stated the experts. Ismail Abdulla, the CEO of Strata, said: "Automation, big data, machine learning and artificial intelligence have only recently become household buzz words. However, in the aircraft manufacturing industry we have for years been witnessing a transformation in operations as a result of the implementation of advanced technologies that provide actionable insights." "Big data is at the heart of this manufacturing revolution, because the algorithms that give AI its ‘intelligence’ are trained with vast amounts of existing examples of how the ‘right’ and ‘wrong’ outcomes look like for a particular situation," observed Abdulla. "Once trained, these advanced AI solutions can help predict when variations in manufacturing processes occur, so manufacturing issues can be tackled earlier or prevented entirely, potentially saving both money and time," he added. Advanced aircraft manufacturing was identified as a priority topic by experts on the Global Aerospace Summit Advisory Board, which helps shape the biennial programme. Among them is the Summit’s partner, Airbus. Marc Fontaine, the digital transformation officer of Airbus, said: "Our strategy at Airbus is to improve our operational and products performance. We have based our digital strategy on these goals and we have made greatest progress in analytics and big data." "Now, we will focus on industrialisation and deploying our most promising innovation and digital concepts. We have already integrated AI and Internet of things and demonstrated concrete value with proofs of concept in a pilot connected factory," he noted. Oisin Commane, the managing irector of SMG Aerospace, which is organising the summit, said the event brings together thought leaders from the aerospace, aviation, defence and space industries, alongside key decision makers and officials, giving them a platform to discuss a wide range of subjects, including the future of aerospace manufacturing.